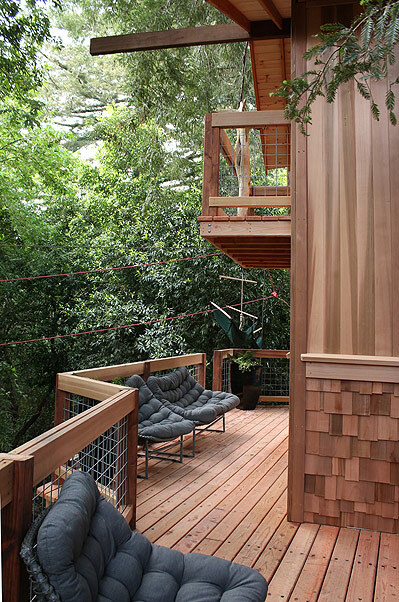 The Vassalo’s Tree House – Half Moon Bay, Ca. With a backyard overlooking a creek to a woodlands preserve, Trae and Steve Vassalo’s magnificent redwood trees were an ideal cluster of trees to support their backyard getaway. 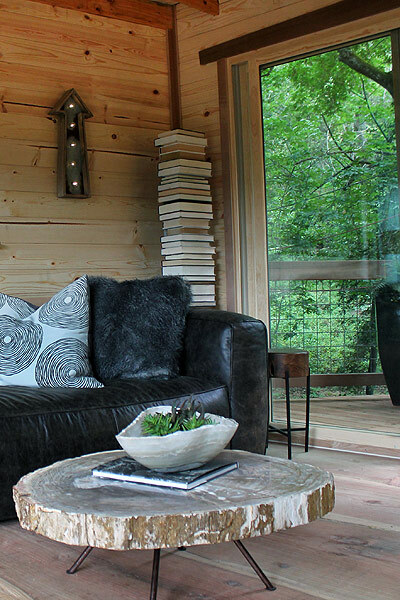 The conceptual design by B’fer was finalized by owner Trae, who took it and ran with it to create the design to her liking for a place not only for her kids to enjoy, but as an arboreal office space for herself. Built by Jake and Mike ‘n Mike and their own cast of characters.